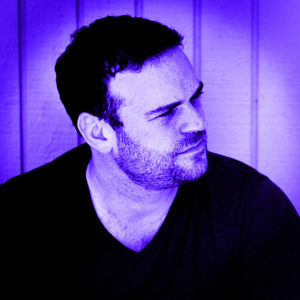 Sam’s life in house music was born in the warehouses and barns of the 90’s Midwest rave scene, where he had established himself as an up-and-coming DJ and promoter. After a while he made the hasty decision to hang it up, go back to school, and pursue a career in advertising. Despite his best efforts though, he never got over his love of house music and found himself living a double life of an advertising executive by day and a clandestine househead by night. By 2012, a few years after his career moved him to the US house mecca of San Francisco, the bug bit him even harder and he decided to re-devote himself to music, pouring every spare ounce of his energy into reestablishing his production skills. Now with over 20 years of influences to draw from, Sam’s style has formed into a unique amalgamation of funk, deep, and tech-infused house with a distinctly modern touch an innate sense of how the dance floor works. His first releases on MEME, Silence In Metropolis and i! Records, are just the first of what will be a steady stream of deep and banging house music from this determined artist.